Orlando Workplace Injury Attorneys - Malik Law, P.A. Dangerous workplace claims are claims against an employer or other party that is responsible for hazardous conditions within a workplace. While workers’ compensation will cover medical expenses and lost wages for employees that are injured while performing regular job duties, dangerous workplace claims may help workers receive additional compensation when the injury was caused by someone’s negligent or reckless actions. An attorney that has experience dealing with dangerous workplace claims will be able to help an employee determine whether the best course of action is to file a workers’ compensation claim or pursue a lawsuit against the employer or another party. Every workplace owes the employees a duty of care to keep the working environment reasonably free of hazards. Employers must also provide detailed information regarding hazardous chemicals and dangerous situations which the workers will be exposed to. Workers have a right to refuse tasks which are viewed as unnecessarily dangerous. There are four main types of workplace dangers. Physical dangers are the most common, and can affect employees of any kind of workplace. Chemical hazards are more common in some workplaces than others, and most often cause burns or respiratory injuries. Biological hazards are present whenever an employee deals with the other people, plants, or animals. Biological hazards may be bacteria, viruses, or other potentially hazardous biological products. Ergonomic hazards are present in most workplaces, and may vary between workers due to habits and specific job tasks. When a worker is injured, the employer will typically take a statement and assist the employee in filing a worker’s compensation claim. 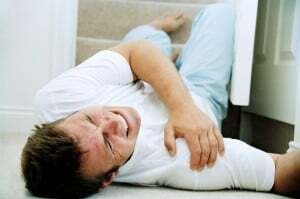 If the employee feels that the cause of injury was out of the normal range of hazards which should reasonably be expected, the employee may wish to consult an attorney before filing a workers’ compensation claim. Once a workers’ compensation claim is filed, the employee can not file a lawsuit against the employer. While workers’ compensation may cover basic costs and a portion of lost wages, workers’ compensation will not pay for pain and suffering and will not penalize the employer with punitive damages. If another party besides the employer was responsible for causing the injury, workers may wish to file a third party claim. If another employee, customer, or vendor caused the injury, a personal liability claim may be filed against the responsible party. If the injury was caused by a faulty or hazardous product or piece of equipment, a product liability claim may be filed against the manufacturer. A toxic tort lawsuit is typically filed because of biological or chemical hazards. Common substances that may result in a toxic tort lawsuit are asbestos, radium, and chromium compounds. These types of claims may be difficult to prove if there was a long period of time between exposure to the toxic substance and development of illness. An experienced attorney will be able to provide assistance with proving these types of dangerous workplace claims. Employers should have safety systems in place to prevent workplace injuries and inform employees of potential hazards. Employees should exercise caution in all aspects of the job and follow safety rules. Failure to follow rules that are in place to promote safety may jeopardize an employee’s ability to collect compensation following an injury, in some cases. Employees should also report any unsafe conditions to the employer or a manager immediately. The Occupational Safety and Health Administration (OSHA) was created to help reduce safety hazards at workplaces. If unsafe conditions are spotted by an employee and continue to go uncorrected, an employee can file a complaint with OSHA. An OSHA representative can conduct an inspection on the workplace and recommend ways to correct unsafe conditions and prevent injuries. If a workplace fails to correct unsafe conditions, the employer may incur fines and penalties. In some cases, OSHA may shut down a place of employment for serious violations.